To say that the jacket she wore that has, “I really don’t care, do you?” written big, bold and white on the back, is nothing but a jacket without hidden meaning, is a slap in the face to any American. In America, everything has meaning and if you are the First Lady, that is lesson number one…look what happened to Michelle Obama when she wore a sleeveless dress. This is what I think, some staffer at the White House gave it to her to put on and she hadn’t taken the time to read what was on the back and her Secret Service detail didn’t bother to tell her resulting in Melania falling for one of the oldest tricks in the book…the dreaded KICK ME practical joke. 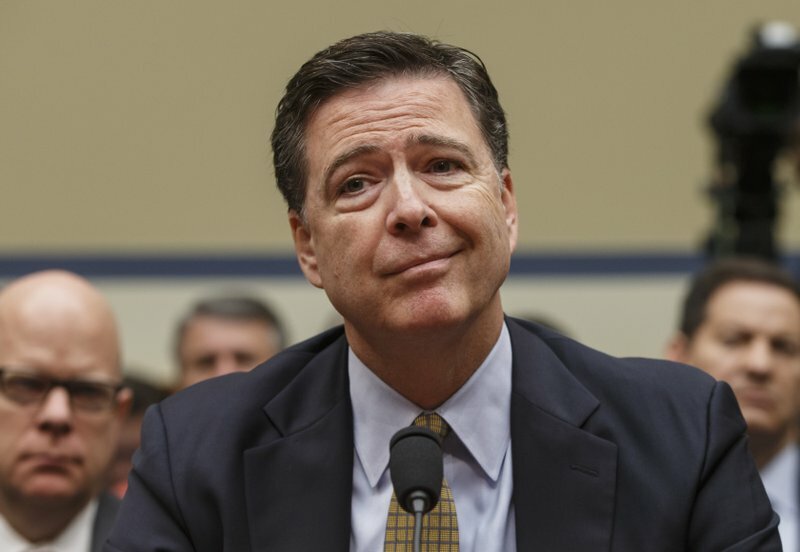 James Comey; what can I say, the guy looks shifty. When I watched his interview with ABC News I was not impressed. Instead of a person that exudes confidence, he looked wimpy and a bit dumb if I may use a bit of Trump’s natural language. On the other hand, he was our FBI Director for a while so he has to have some smarts. That’s what makes him dangerous – he may seem like a bit of an air-head but deep inside he is a calculating individual. With that said, did he chose to make his Hillary E-mail announcements on national television at the time he did for some ulterior motive…why not? He seems like the type of person that would do such a thing for personal reasons. I am of the opinion that Comey made a personal decision to make those announcements about Hillary’s Emails on national television to deter people from voting for Hillary because he, personally did not want a female to be president of the United States. If my hunch is correct, it becomes a question of motive and with that…only Comey knows.